Lovers of the Fourth Amendment (or dogs): the 2012 term finds the Court hearing argument on two cases involving the use of narcotics detection canines. The first, Florida v. Harris, will address whether a drug dog’s alert can establish probable cause to search a vehicle for contraband. A second case from the Sunshine State, Florida v. Jardines, tackles the question of whether a dog sniff at a suspected grow house is a “search” within the meaning of the Fourth Amendment. Federal judges and judicial clerks (who process mountains of habeas corpus petitions filed by state prison inmates) will be interested in some of the cases on the federal writ that the Court has elected to hear this term. In particular, Johnson v. Williams will find the Court interpreting a section of the U.S. statute that gives federal courts their threshold authority to issue the writ. In May, Supreme Court commentator Linda Greenhouse predicted that the 2012 Supreme Court term would be about race. Her prediction was prompted (in part) by the Court’s grant of cert in Fisher v. University of Texas, which involves a challenge to the school’s use of race in making undergraduate admission decisions. 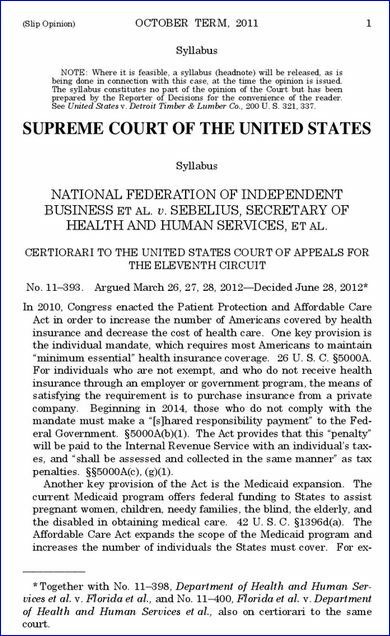 Although it’s only been nine years since the Court last addressed the issue, the Justices are apparently poised to revisit it. Oyez, oyez – let the term begin!